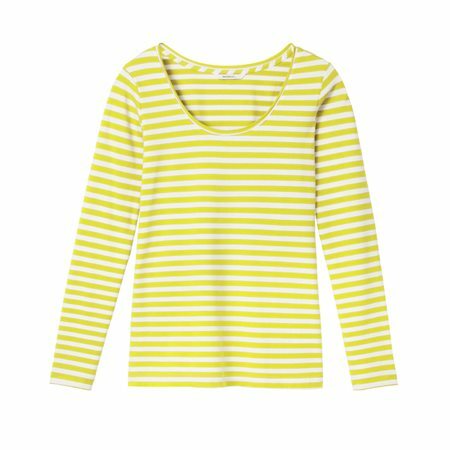 Stripes are in fashion and show no sign of leaving especially when sandwich are creating cute little tops like this one. This top is great to wear alone or under a jacket. This is quite a neat fitting top with long sleeves and a flattering rounded neckline.